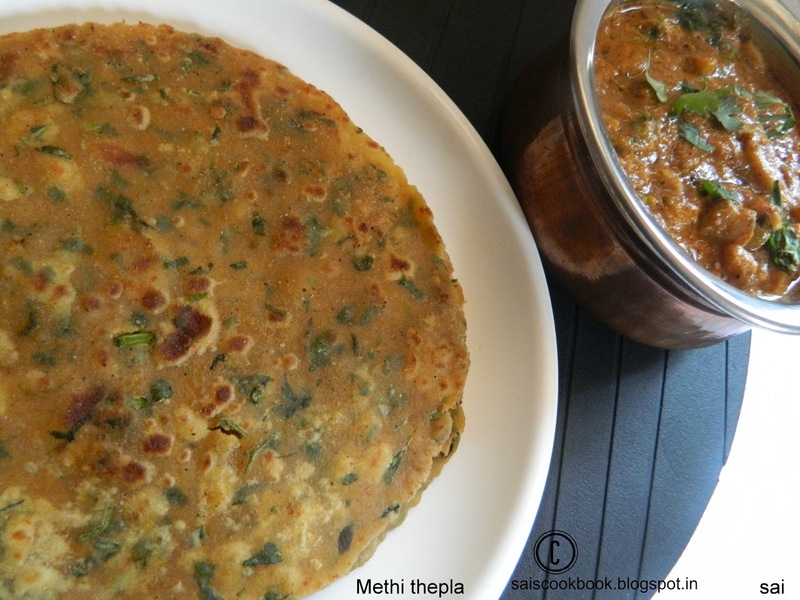 My all time concern is to give the kids healthy and home cooked food.And the common roti I prepare often for them and us is Methi thepla.I was introduced to this flat bread after my marriage when I was in Mumbai,my mama in law used to prepare tasty thepla’s. Thepla’s are very convenient to carry during travel.It is a staple food of Gujarat.But no one can beat the Gujrathi’s in the making of thepla.I prepare thepla s with different variations.This time I tried Sanjeev Kapoor’s version which I came across in his cookery book.In this recipe banana is added and the theplas turned super soft.Thepla’s can stay upto 3-4 days without refrigeration.I still remember the days when we used to carry store bought theplas from Mumbai to Mangalore which they used to pack with green chilly thecha.I prepared Mushroom tikka masala as the combination. Take a wide bowl and add curds,salt,chilly powder and grated banana. Add flour,besan,methi leaves and ghee and knead it into a soft dough like of chapathi. You may add more flour if the dough is sticky. Keep it aside for 20 minutes by covering a lid or with a damp cloth. Pinch lemon sized balls from the dough,make small balls,flatten with you hand,roll it into discs about 6 inch approximately. 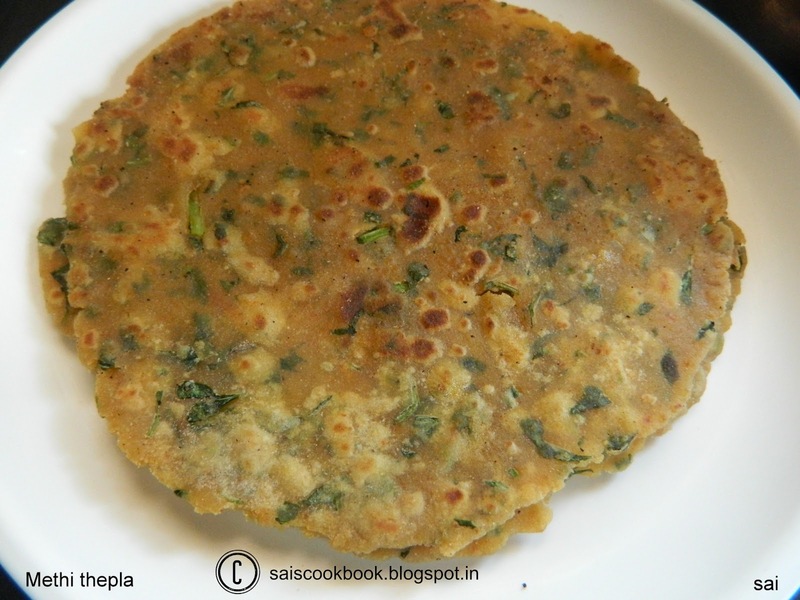 You may toss it in flour as you roll the thepla. Heat a griddle,smear it with a tsp of ghee and roast it on both the sides until brown spots appear. Keep flipping the thepla continuously by pressing the centre with a spatula so that it is evenly cooked on both the sides. Adjust the flame while you roast the thepla. Store it in a casserole or a container so that it remains soft.